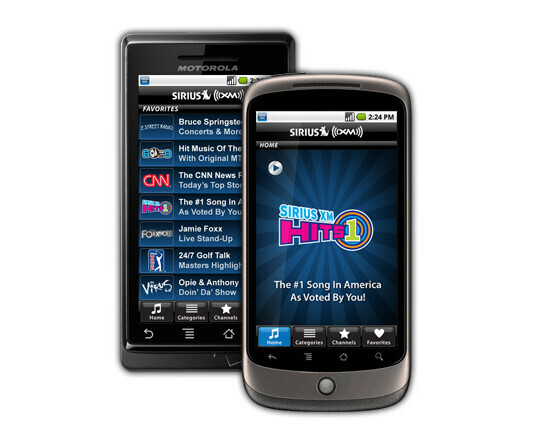 Just barely making it in time for its May arrival, Android's Sirius XM Radio app swings its way onto the platform bringing along its streaming services to the fledgling Android platform. There is plenty of value for current subscribers as it'll allow users to listen to some premium content, but those venturing to download the app will find a 7 day trial if you're not a current subscriber. Rather than finding the app through the Android Market, users will have to navigate to Sirius's website on their desktops so that an email containing the download link will be sent to you or you can simply do the same on the Android browser where you can click the “download the App” link on the page. Once you've got the application loaded on your handset, current subscribers will only need to add on the $2.99 a month internet radio feature to get the most out of the app. Thankfully it looks like the app will run on any Android 1.5 and above builds so that a whole medley of handsets will be able to take part in Sirius XM Radio. i have all three services and from my experiences some people may pay for this because you can listen to not only music but a very wide variety of podcasts, talk shows, and news channels. not to mention zero commercials. and then there are the 100+ specifically targeted music stations to consider. Don't forget about LastFM too. I have an XMp3 already. I was looking forward to this app for months! I would probably get this if you could listen to sports play by play. I already have an XM subscription.